Rebel HQ’s Emma Vigeland breaks down what Trump’s obsession with Iran is really about. A French intelligence report reveals that Saudi Arabia and UAE depend on Western support for their war in Yemen. Just Foreign Policy co-director Hassan El-Tayyab speaks about the report and the need to override Trump’s veto of the Yemen War Powers resolution. Trump/Pence continue to try to hide the truth from their Christian supporters—the terrorist attacks on Christians/Christian churches in Sri Lanka and elsewhere are inspired by extremist Saudi ideology that Saudi Arabia spends billions of dollars propagating worldwide. The ISIS beheadings have shocked the world. But other countries routinely use beheading as a form of execution too. 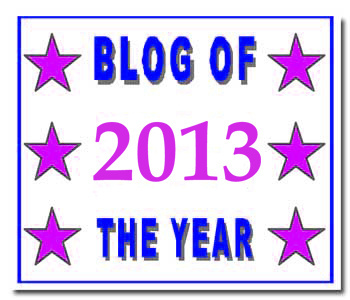 Pat Abboud looks at Saudi Arabia. In Saudi Arabia, 37 people were executed in one day. They have been killed by decapitation. According to the Ministry of the Interior, these Saudis were involved in terrorist activities. The problem is that the Saudi authorities have an extremely wide definition of terrorism. Eg, they consider the activists, jailed for advocating the right of women to drive cars and now threatened with beheading, and atheists to be ‘terrorists’. According to the ministry, the verdict is supported by a royal decree. The last time so many people were executed in one day in Saudi Arabia was in 2016. According to human rights organization Human Rights Watch, 47 men were killed on 2 January of that year … It was then the largest mass execution since 1980. There are still women activists in jail for protesting for the right to drive in Saudi Arabia. John Iadarola and Manal al-Sharif break it down on The Damage Report. Follow The Damage Report on Facebook. 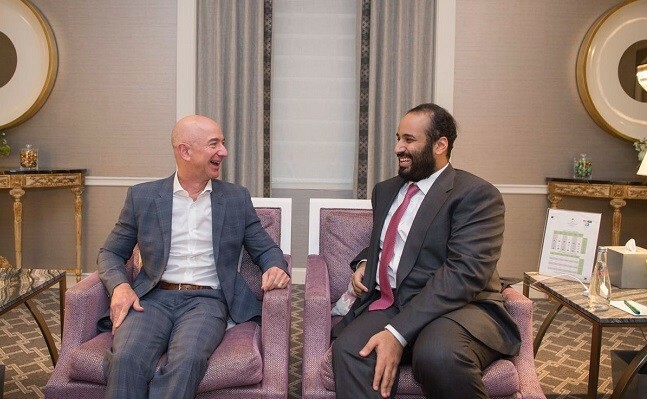 This March 2018 photo shows Amazon.com boss Jeff Bezos, the richest man in the world, and the crown prince of Saudi Arabia, His Royal Highness Mohamed bin Salman. As the photo shows, then everything was hunky dory between these two billionaires, both warmongers. However, not all friendships between filthy rich and warmongering men last forever. Silvio Berlusconi and Rupert Murdoch used to be pals. However, then they quarreled about (yet more) money. They became foes. Tony Blair and Rupert Murdoch used to be pals. Blair even became godfather for Rupert Murdoch children. He obeyed Murdoch egging him on to join George W Bush’s war on Iraq. But then, Blair had an affair with Murdoch’s ex-wife. The two filthy rich warmongers became foes. Now, something similar seems to happen to the Bezos-Saudi crown prince friendship. Again, an extramarital affair plays a role. This time, a murder as well. A security consultant of Jeff Bezos says Saudi Arabia hacked the phone of the owner of The Washington Post and Amazon. The billionaire is said to have been targeted because of reports about the murder of Post columnist Jamal Khashoggi. “I have been giving advice for forty years, but recently I have seen things that amaze me”, says Bezos‘ safety consultant Gavin de Becker. According to him, the American tabloid publisher AMI collaborated with the Saudis in a smear campaign against his boss. AMI magazine National Enquirer revealed in January that adultery by Bezos was the reason for his divorce. The gossip magazine had knowledge of reports between Bezos and his mistress, TV presenter Lauren Sanchez. Shortly thereafter, Bezos was surprised by allegations that AMI was blackmailing him with captured selfies. Bezos revealed e-mails threatening with the publication of intimate photos if he did not publicly deny that AMI had a political motive for the disclosure of adultery. Bezos announced an investigation into how his private messages had fallen into the hands of the magazine. Recently it became clear that a brother of Sanchez had probably passed on apps. “But there is not always a simple answer like ‘the brother did it'”, says De Becker. According to him, AMI wanted the brother to be seen as the only source. … He therefore concludes that Saudi Arabia has had access to Bezos’ telephone. He does not reveal proof of this, because he has since handed over the case to the authorities. Although he will therefore no longer talk about the matter, he asserts that “we looked into it carefully”. What AMI knew about the Saudi involvement, he does not say. According to De Becker, the Saudi campaign started last October, after the murder of journalist Khashoggi. Because of the extensive coverage by The Washington Post about that case, the Saudi regime is said to have wanted to oppose Bezos. AMI and Saudi Arabia have not yet responded to the allegations. Previously, the country denied having anything to do with the Bezos case.